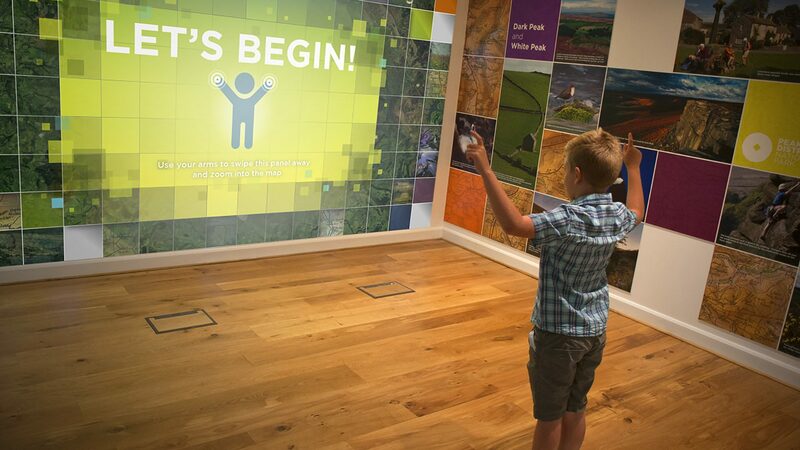 The Peak District National Park is using exciting interactives as part of its approach to developing its visitor centres, pushing the boundaries of how people see a National Park. The Peak District National Park is taking an exciting approach to the development of its visitor centres, pushing the boundaries of how people see a National Park. With a vision to create innovative and engaging interpretation exhibitions within all three of its centres it plans to inspire visitors to ‘get out and explore’ whilst gaining a deeper understanding of the National Park. The three visitor centres at Bakewell, Castleton and Edale are all different in design and construction so it has been important to find a flexible way to maintain consistency of branding and experience, This has been achieved by taking a layered approach to interpretation with an overarching key message about the National Park which supports its brand identity. Each centre then explores the specific landscape and special qualities of the area around it with specific key messages for the White Peak and the Dark Peak areas and gives detailed interpretation about the location and places to visit. Working with our friends at Querceus, we have developed audiovisual exhibits that will extend the value of the software investment across multiple sites, as well as fitting out the education room at Castleton with hardware. 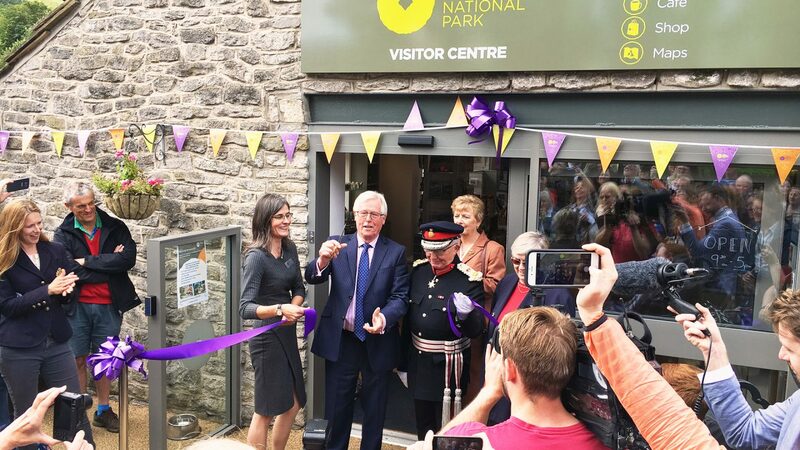 Castleton’s visitor centre underwent a £330,000 refurbishment and the new-look centre was opened in August 2017 by Lord Lieutenant of Derbyshire, William Tucker and BBC Countryfile presenter, John Craven. 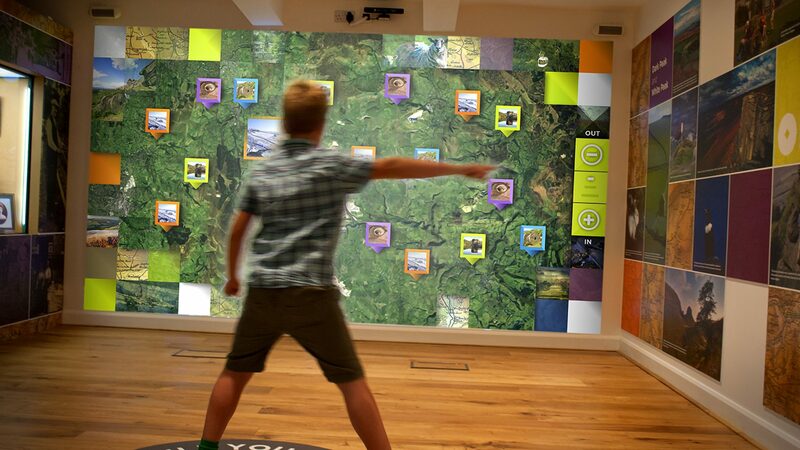 To create a “wow” factor and to engage visitors with a kinetic experience, we used a gesture wall at the Castleton visitor centre. The centrepiece of an immersive space, the gesture wall can be glimpsed from outside, enticing visitors to take a closer look and explore the content of the wall. Visitors can explore a map of the local area, selecting which features they would like to explore in more detail. The gesture wall uses our content management system to give the client access to their large database of imagery which can be updated by their staff. The flexible nature of the software means that they can capitalise on developing one system which can then be used across further sites with localised, different content. So spring 2018 will see the unveiling of interactive exhibits at the other sites. 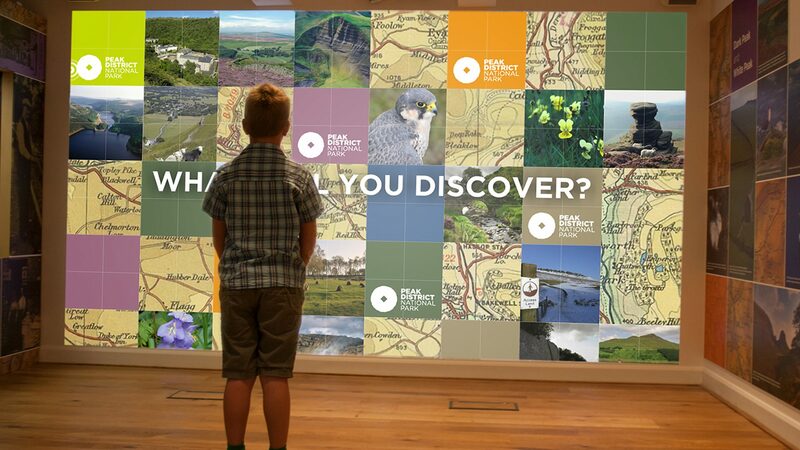 This time there will be screen-based versions of the gesture wall content, adapted to display local information and resources, a format more suited to the visitor centres at Bakewell and Edale. 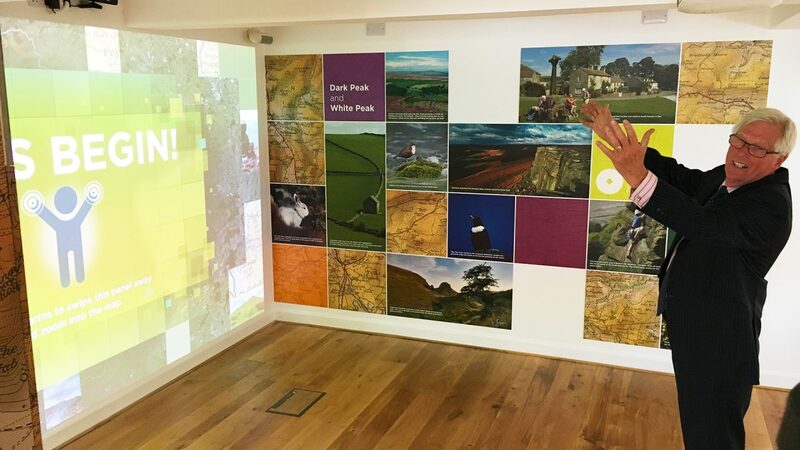 We fitted out the Castleton visitor centre education room with a projector, motorised screen, audio system, wireless presentation system and induction loop, creating an accessible, multi-use educational facility. It seems fair to say that John Craven enjoyed the gesture wall too.